Computer Science students of P.A.H Solapur University sensitized 30,000 school students on Cyber Security Awareness under Learn and Earn program of Quick Heal Foundation. Vice Chancellor Hon. 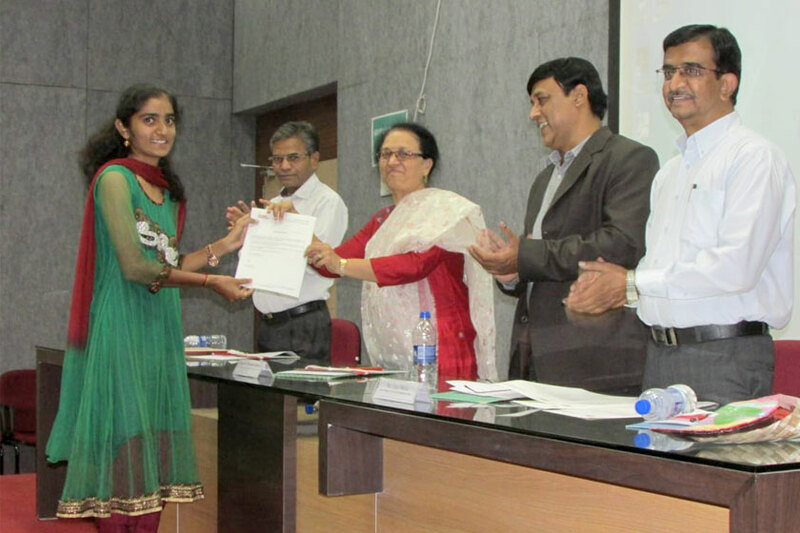 Dr.Mrunalini Fadnavis attended the function and handed over cheque & appreciation letter to the students. The students also received remuneration from QHF. Dignitaries present included Mr.Ajay Shirke(CSR Head, QHF) ,Dr.Vikas Ghute(Registrar , PAH Solapur University), Mr.R.S.Mente(HOD,Computer Science Dept. ).